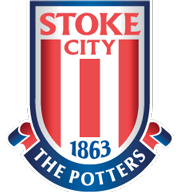 Match ends, Rochdale 0(4), Stoke City U21 0(5). Penalty Shootout ends, Rochdale 0(4), Stoke City U21 0(5). Goal! Rochdale 0(4), Stoke City U21 0(5). Oliver Shenton (Stoke City U21) converts the penalty with a left footed shot to the bottom left corner. Penalty missed! Bad penalty by Oliver Rathbone (Rochdale) right footed shot is too high. Oliver Rathbone should be disappointed. Penalty saved! Jordan Williams (Rochdale) fails to capitalise on this great opportunity, left footed shot saved in the top left corner. Penalty saved! Cameron McJannett (Stoke City U21) fails to capitalise on this great opportunity, left footed shot saved in the bottom right corner. Goal! Rochdale 0(4), Stoke City U21 0(4). Dan Jarvis (Stoke City U21) converts the penalty with a right footed shot to the bottom right corner. Goal! Rochdale 0(4), Stoke City U21 0(3). Joseph Rafferty (Rochdale) converts the penalty with a right footed shot to the bottom right corner. Goal! Rochdale 0(3), Stoke City U21 0(3). Mark Kitching (Rochdale) converts the penalty with a left footed shot to the centre of the goal. Goal! Rochdale 0(2), Stoke City U21 0(3). Mark Waddington (Stoke City U21) converts the penalty with a right footed shot to the top right corner. Goal! Rochdale 0(2), Stoke City U21 0(2). Tre Pemberton (Stoke City U21) converts the penalty with a right footed shot to the bottom right corner. Goal! Rochdale 0(2), Stoke City U21 0(1). M.J. Williams (Rochdale) converts the penalty with a right footed shot to the bottom left corner. Penalty missed! Bad penalty by Matt Done (Rochdale) left footed shot is too high. Matt Done should be disappointed. Penalty missed! Bad penalty by Harry Souttar (Stoke City U21) right footed shot is too high. Harry Souttar should be disappointed. Goal! Rochdale 0(1), Stoke City U21 0(1). Tyrese Campbell (Stoke City U21) converts the penalty with a left footed shot to the bottom left corner. Goal! Rochdale 0(1), Stoke City U21 0. Jordan Slew (Rochdale) converts the penalty with a right footed shot to the top right corner. Penalty Shootout begins Rochdale 0, Stoke City U21 0. Second Half ends, Rochdale 0, Stoke City U21 0. Corner, Rochdale. Conceded by Jakob Haugaard. Attempt saved. Mark Kitching (Rochdale) right footed shot from the left side of the six yard box is saved in the bottom left corner. Corner, Rochdale. Conceded by Semi Scott Wara. Attempt missed. Oliver Rathbone (Rochdale) left footed shot from outside the box is close, but misses to the right. Attempt blocked. Mark Kitching (Rochdale) left footed shot from the centre of the box is blocked. Cameron McJannett (Stoke City U21) wins a free kick in the attacking half. Attempt blocked. Jordan Slew (Rochdale) right footed shot from the centre of the box is blocked. Corner, Rochdale. Conceded by Harry Souttar. Corner, Rochdale. Conceded by Tre Pemberton. Substitution, Rochdale. Calvin Andrew replaces Bradden Inman. Substitution, Rochdale. Jordan Williams replaces Joe Bunney. Substitution, Stoke City U21. Tre Pemberton replaces Charlie Adam. Kgosi Ntlhe (Rochdale) is shown the yellow card for a bad foul. Mark Waddington (Stoke City U21) wins a free kick in the defensive half. Attempt missed. Joseph Rafferty (Rochdale) right footed shot from outside the box is high and wide to the left. Joe Bunney (Rochdale) wins a free kick on the left wing. Foul by Charlie Adam (Stoke City U21). Attempt saved. Kgosi Ntlhe (Rochdale) left footed shot from outside the box is saved in the bottom right corner. Substitution, Stoke City U21. Dan Jarvis replaces Ibrahim Afellay. Substitution, Stoke City U21. Oliver Shenton replaces Julien Ngoy. Attempt missed. Mark Kitching (Rochdale) left footed shot from outside the box misses to the right. Corner, Rochdale. Conceded by Cameron McJannett. Mark Waddington (Stoke City U21) wins a free kick on the left wing. Attempt saved. Mark Kitching (Rochdale) left footed shot from outside the box is saved in the bottom left corner. Attempt missed. Charlie Adam (Stoke City U21) left footed shot from outside the box is high and wide to the left from a direct free kick. Cameron McJannett (Stoke City U21) wins a free kick in the defensive half. Oliver Rathbone (Rochdale) wins a free kick on the left wing. Foul by Harry Souttar (Stoke City U21). Second Half begins Rochdale 0, Stoke City U21 0. First Half ends, Rochdale 0, Stoke City U21 0. Attempt blocked. Mark Kitching (Rochdale) left footed shot from the right side of the box is blocked. Kgosi Ntlhe (Rochdale) wins a free kick in the defensive half. Foul by Tyrese Campbell (Stoke City U21). Attempt blocked. Tyrese Campbell (Stoke City U21) right footed shot from outside the box is blocked. Attempt missed. Tyrese Campbell (Stoke City U21) right footed shot from outside the box is close, but misses to the right. Mark Waddington (Stoke City U21) is shown the yellow card for a bad foul. Ibrahim Afellay (Stoke City U21) wins a free kick in the defensive half. M.J. Williams (Rochdale) wins a free kick in the defensive half. Foul by Julien Ngoy (Stoke City U21). Semi Scott Wara (Stoke City U21) wins a free kick in the defensive half. Attempt missed. Julien Ngoy (Stoke City U21) right footed shot from the centre of the box is just a bit too high. Foul by Jordan Slew (Rochdale). Corner, Stoke City U21. Conceded by Mark Kitching. Penalty saved! M.J. Williams (Rochdale) fails to capitalise on this great opportunity, right footed shot saved in the bottom left corner. Thomas Edwards (Stoke City U21) is shown the red card. Penalty conceded by Thomas Edwards (Stoke City U21) with a hand ball in the penalty area. Corner, Rochdale. Conceded by Dan Jarvis. Foul by Cameron McJannett (Stoke City U21). Attempt missed. Daniel Adshead (Rochdale) right footed shot from the right side of the box is close, but misses to the right. Attempt saved. Jordan Slew (Rochdale) header from the centre of the box is saved in the centre of the goal. Corner, Rochdale. Conceded by Mark Waddington. Attempt saved. Jordan Slew (Rochdale) left footed shot from a difficult angle on the left is saved in the centre of the goal. Attempt missed. 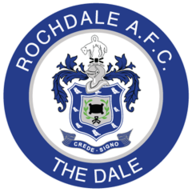 Daniel Adshead (Rochdale) left footed shot from outside the box is high and wide to the left. Corner, Rochdale. Conceded by Charlie Adam.